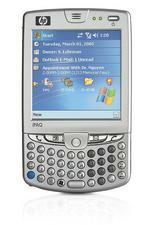 Cingular today announced that it will begin selling the HP iPAQ hw6515 and hw6510 on October 31st. The two smartphones are exactly alike, except for a camera (the hw6515 sports a megapixel camera while the hw6510 has no camera). As of the 31st Cingular will offer the device at $449 with a two-year contract.